Fear not, Mac OS X Lion gamers—Civilization hasn’t completely collapsed. But a recent update to Civilization V: Campaign Edition is causing problems for people trying to upgrade their copy on Apple’s current operating system. Specifically, users trying to download an update to the turn-based strategy game from the Mac App Store are unable to do so if they’re running Mac OS X Lion. 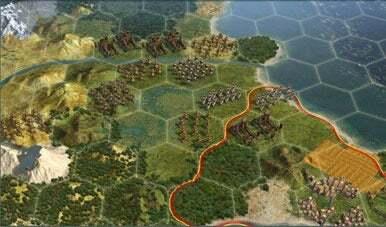 Game publisher Aspyr says that gamers using Mac OS X 10.6 aren’t experiencing the problem, nor are people playing Civilization on the Mac through the Steam gaming service. Aspyr says it’s working with Apple to fix the problem. As a goodwill gesture until a fix is found, Aspyr says it will offer Mac App Store discounts on Civilization IV and Civilization IV: Colonization. Both are available for $5—that’s a 75 percent discount on Civilization IV and an 80 percent price cut for Colonization. When the update issue is fixed, Aspyr plans a future patch for Civilization V: Campaign Edition customers that will provide a Wonders of the Ancient World Scenario pack for free. Note that this problem is limited to updating with the latest patch for Lion users—the game itself still works. Aspyr has posted a potential workaround for the update issue that involves deleting the game from your Application folder, emptying the Trash, and reinstalling the game from the Mac App Store. However, some users report that they’re unable to reinstall the game after following the steps Aspyr outlined, so proceed with cation.